An action game focused on online gameplay, enriched with survival elements. Players find themselves in a dangerous alien world, and during dynamic gameplay they can form and break alliances. 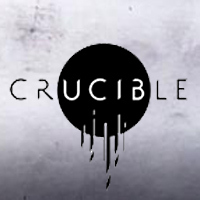 Crucible, released on PC, is an action online game with survival elements. The production was developed by Amazon Game Studios - Crucible, Breakaway and New World were this developer's debut projects. In Crucible we find ourselves in a dangerous, alien world. The game starts with the creation of the character, deciding on their gender and appearance, as well as on the skills that we will use on the battlefield. The aspect that distinguishes this title from similar games is the ability to create and break alliances with other players. Competitors must therefore be on guard, constantly monitoring the behaviour of their partners. What is interesting, each game is supervised by a kind of game master, who launches various attractions for people observing the game. Like other games done by this studio, Crucible is designed for streaming on Twitch. Crucible on PC is characterized by high quality graphics design. The game uses vivid colors, exaggerated character models and a detailed environment.